Pharmathen S.A. is one of the largest Greek pharmaceutical companies with a dynamic presence both in Greece and globally. Its strong export and trading activity implies the creation of infrastructure and internal processes, which enable it to provide comprehensive and timely transactions with customers and suppliers, on a global scale. Such a process is the invoicing of products, which it produces and distributes to its customers. Group of companies with more than four (4) TIN. More than ten (10) accounting voucher (invoices, delivery notes, etc.) issuing locations, which are located at various company facilities. Issuance and delivery of vouchers to organizations/companies in Greece and abroad. More than 10,000 vouchers per year. Based on the company’s characteristics and its dynamic trade activity, its basic requirement was to achieve economies of scale across the entire archiving and voucher dispatch process. Central electronic filing location for all vouchers that it issues. Automation of the electronic filing, invoice dispatch and control processes. Automated, secure and reliable process for electronically dispatching invoices to both domestic and foreign companies. Reduction in costs and time while optimizing the utilization of human resources from the search, recovery and receipt verification process of invoices from clients. Automated the electronic filing processes of all accounting vouchers and the dispatch of invoices to its customers. Has a central management location from where vouchers are issued having full control over every invoice processing step from issue to dispatch. Has instant information on the status of invoices that it dispatches through a complete invoice activity history (from the time the invoice is dispatched, to when and who opened the electronic invoice). Can easily, quickly and simply find and start the electronic invoicing process with other partners given that via the innovative Paperless Connect service it has access to the community of companies that implement Electronic Invoicing in Greece and abroad. The elimination of the printing of electronically dispatched vouchers and their copies, which it files electronically. The reduction in the time required for the management and retrieval of vouchers. Physical archiving space (e.g. binders, cupboards, warehouses etc). Reduction in the cost of dispatching electronic vouchers (from ~ €3/voucher to less than €0.20/voucher). Total savings of ~ €40,000/year from the invoice issue, archiving, dispatching and receipt confirmation process. 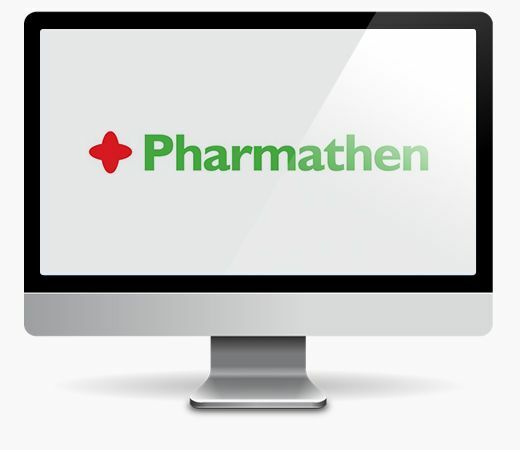 “Through the implementation of Impact Paperless Connect, Pharmathen SA proceeded to electronically send paperless invoices to our customers both abroad and in Greece, as well as to electronically file its documents in proof. DO YOU WANT TO IMPROVE YOUR BUSINESS’ PERFORMANCE TOO? Contact us via our contact form or by sending us an e-mail.